When cleanliness is concerned we are concerned too. We are a champion cleaning services provider for South East London and we love helping people for whom cleanliness is important, too, but do not have the time to clean their homes. If you are one of those people, please give us a call and we will happily help you with your cleaning needs. Give us a call if you are in need of professional house cleaners. Choosing our house cleaners to help you with your home’s cleaning needs is the right thing to do when you are looking for someone to do it for you. We are offering you our outstanding services and our unmatched house cleaners. We operate everywhere in South East London so feel free to call us right away. You will not have to think about your home’s cleaning ever again if you hire our house cleaners for a regular maintenance. 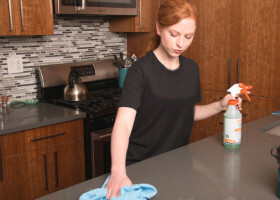 Our cleaners will be coming to your home right on time for every cleaning appointment and will do their job – which is to keep your home’s clean and spotless state. For our company cleanliness is very important and we work hard to achieve the best results and make our clients happy. Our cleaners take extra care for every home they are cleaning. You can rest assure that with our house cleaners your home will be a cleaner and a healthier place. Give us a call now and get our professional help for your home. We promise not to disappoint.